Rahul Dravid, the former India captain, said he expected India to hit peak form in the ICC Cricket World Cup 2019 as they go into the tournament with series wins in Australia, New Zealand and South Africa. The last year was a good one for India – they secured series wins against South Africa and the Windies, and won the Asia Cup as well. They began 2019, the World Cup year, by beating Australia and New Zealand as well, and look in prime health heading into the mega event. It all meant Dravid had high hopes for the team at the marquee event starting 30 May in England and Wales. 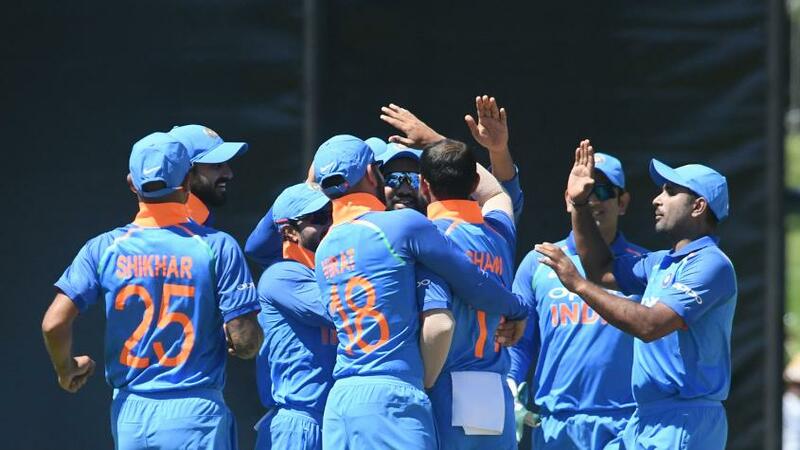 "I think India are playing very good cricket at the moment and go in as one of the favourites," he told reporters on Thursday on the sidelines of India A's series against England Lions. "Hopefully, we will peak in the next few months." The last time the 50-over World Cup was held in England, in 1999, Dravid was the top-scorer with 461 runs. This World Cup will be different from from the 1999 event, Dravid said, primarily because the batting-friendly wickets in England could make it a high-scoring event. "Wickets will be very flat in England and I expect it to be quite a high-scoring World Cup. When we (India A) were in England with A team, 300 was regularly scored," said Dravid, who is the head coach of India A and India Under 19. "A lot more runs will be scored compared to the 1999 World Cup, where we used the Dukes white ball. The white Kookaburra with two new balls, revised field restrictions (three Powerplays as opposed to mandatory 15-over restrictions in 1999) are different, so you can’t compare the two World Cups."